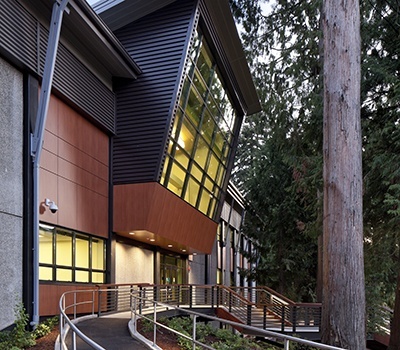 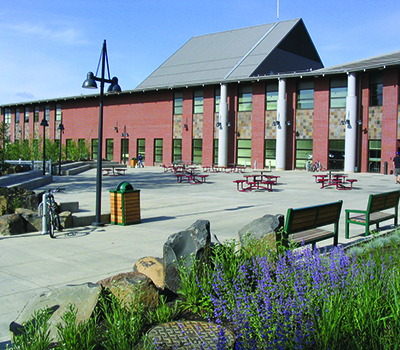 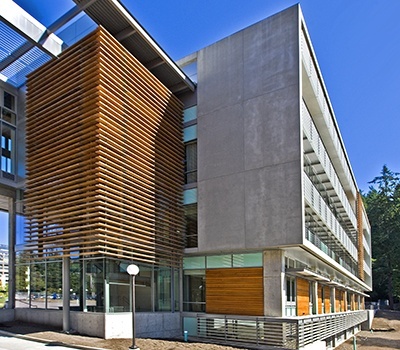 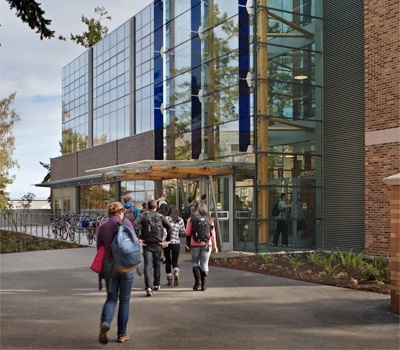 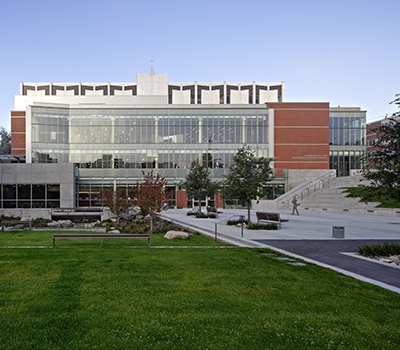 Western Washington University’s Academic Instructional Center (AIC) meets the University’s growing need for classroom, laboratory, and office space. 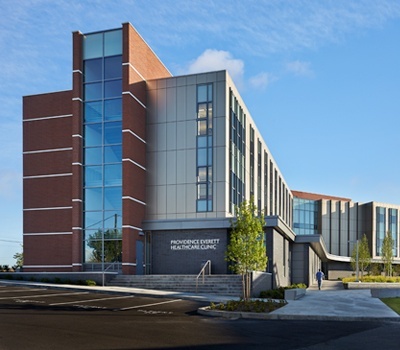 Designed in two sections, the AIC includes a steel- and concrete-framed sky bridge clad in precast concrete that students can use to walk between the east and west wings as they enter the campus. 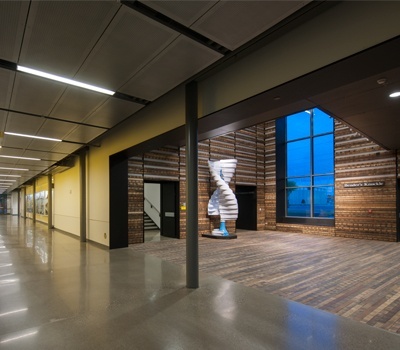 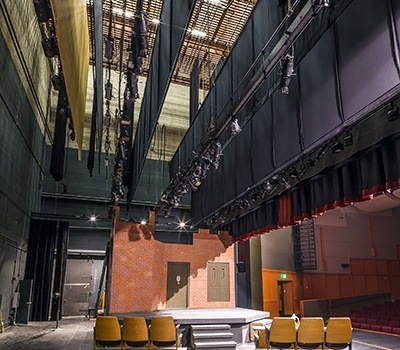 Our firm distinctively designed the building’s structure of post-tensioned concrete floors and shear walls to accommodate the University’s request for both an efficient and flexible layout. 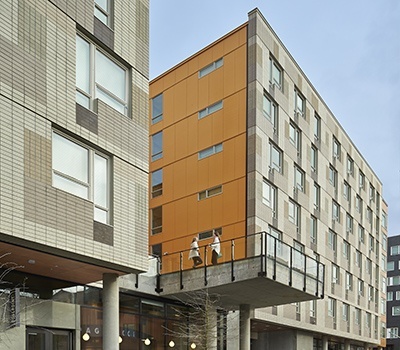 As part of basic design services, we detailed a uniquely-assembled cladding system that combined varying shapes and sizes of precast concrete elements; intricately detailed wood, steel, and metal sunscreen assemblies; metal siding; full story window systems; and brick masonry veneer elements. 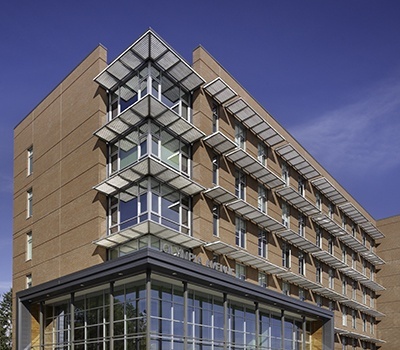 To maximize sustainability, the project incorporates solar shading, natural ventilation, heat recovery, use of excavated materials, and construction waste recycling .